A new masquerade troupe is in the works in the hopes it can be a welcome addition to Montserrat’s cultural and artistic landscape. “Green Masquerade” was the brainchild of Hon. Speaker of the House Shirley Osborne, who debuted her costume on Festival Day. December 31, 2018. Osborne said the feedback from many quarters has been very positive and there was much encouragement to create a green masquerade troupe. She sought the advice of Titus Frederick, who leads the Emerald Shamiole Masquerades and he has agreed to train the dancers and allow the use of their musicians as well. 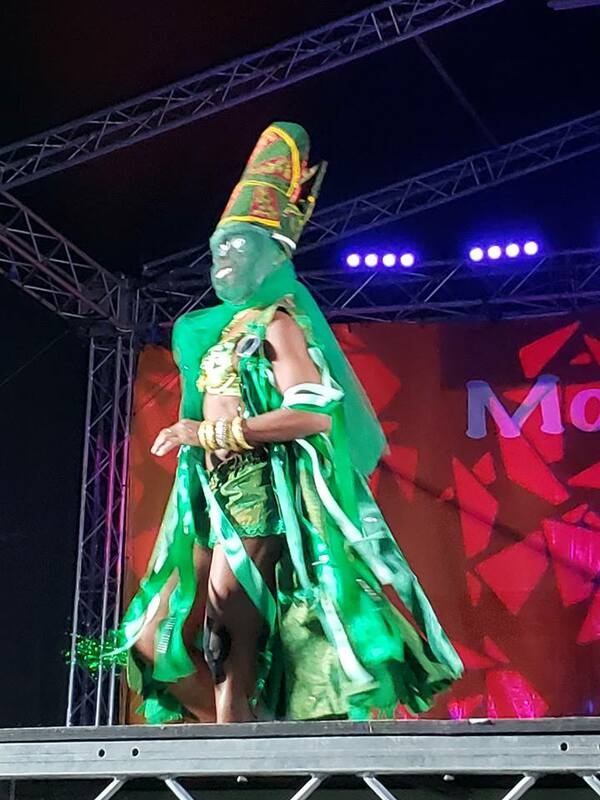 The troupe, Osborne says won’t wear what she created for festival, now will it simply be a green version of the original masquerades costume. The conversation is still evolving and costume ideas are still in the works. The Masquerade has been with human beings since the beginnings of history as art and artifice, ruse and strategy. 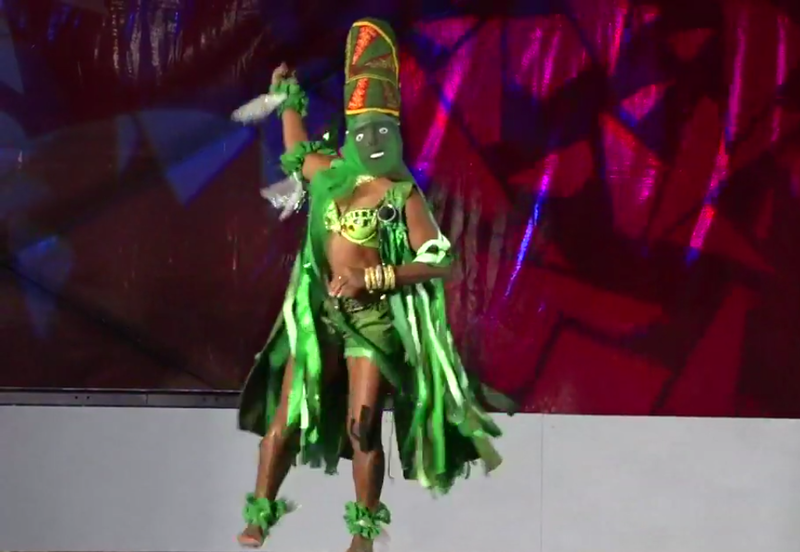 Human groups have used masquerade to safeguard knowledge, transmit wisdom, strengthen traditions and protect community and Osborne has written Green Masquerade is Montserrat’s Masquerade. Green Masquerade is Montserrat’s Masquerade. who sparkle in the universe like moon and stars of the night. A people good and strong, expressing creativity, industry and acumen in EVERY manifestation. A people with African traditions that survived European oppression. An ancient domain of men strengthened by the modern inclusion of women. protect our island and safeguard our recovery. protect our island and safeguard our posterity. Anyone interested in joining Green Masquerade, can call Zen at easiLiving: 392-3274 and leave your name and contact information.